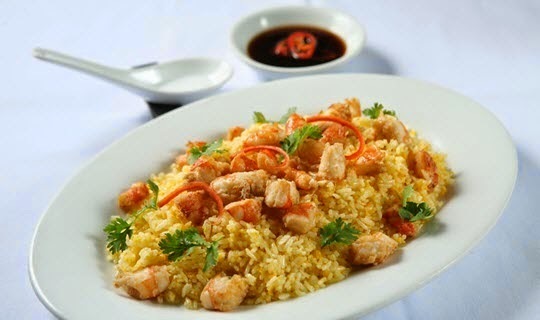 Today I would like introduce Vietnamese Fried Rice with Prawns (Cơm Chiên Tôm) which is one of Best Vietnamese Food. With rice as the main actor, it is left to the imagination of the chef to add the supporting acts to create a fried rice dish. 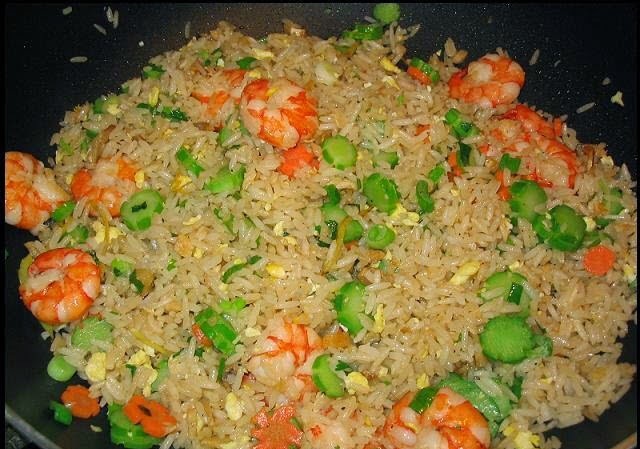 One of my favorite fried rice dish is this one. 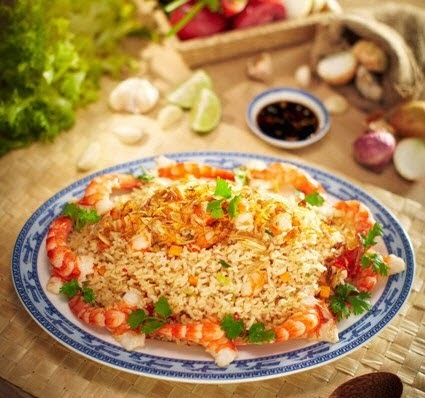 The prawns give the fried rice a nice seafood flavor and come with a natural sweetness which cannot be substituted with the use of any form of seasoning. For this Best Vietnamese Food, it is important to use the freshest prawns you can get for otherwise, you will get a fishy smell and will probably attract flies instead. Get prawns the size of about 2 inches in length (before shelling). Shell the prawns and cut them into smaller cubes. That is my preference anyway. You can leave it whole if you want especially! If you want to impress your guests with bigger looking prawns. Heat oil in wok on and fry shallots on medium heat till golden brown. Remove and set aside fried shallots. Add garlic, carrots and French beans and stir well for a minute. Add prawns and stir well till prawns turn red. Push ingredients aside by making a well. 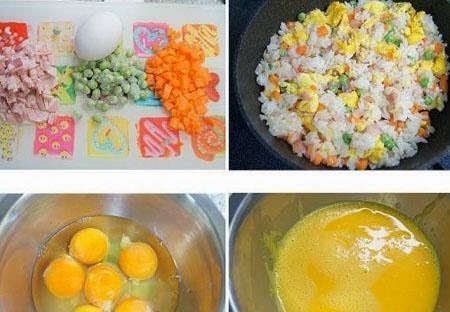 Add a tablespoon of oil in the center and break eggs into the oil. Once eggs are semi-cooked, add rice and push ingredients into this Best Vietnamese Food. Stir evenly and press rice to separate grains from one another. Add seasoning. Fry the rice for about 3 minutes and until the seasoning is evenly distributed. Dish out and garnish with fried shallots. This Best Vietnamese Food is one of my favorite fried rice whenever going restaurants with my friends. I think you may enjoy this dish at your nation, however try it one time when you are Vietnam. Moreover, Christmas is coming soon. I think on these days, if you are in Vietnam, make sure you will not miss it. It is really prefect to eat in cold days.